Let's cut right to the chase, The Uninvited is propaganda about overpopulation, greed, and excess wrapped under the guise of a Dystopian novel. Yes the book had many Dystopian elements but I came away from reading this book thinking it felt more like a PSA than anything else. Hesketh Lock is an Anthropologist who works as a troubleshooter for the firm of Phipps and Wexman. Hesketh serves as an outside negotiator/Pr guy for large corporations on the brink of self destruction though what his actual job entails is left a mystery. We also learn Hesketh has Aspergers syndrome. I understand the appeal of having a Narrator like Hesketh I do, but I really didn't need to be reminded so much that he was "different" than everyone else. As for the story itself it started out very strongly, I was sucked in from the first page. Unfortunately by page 20 that excitement started to flounder. 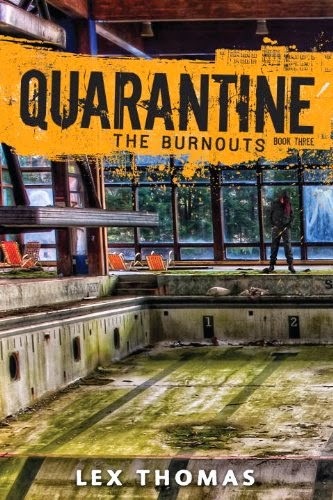 The stark contrast between the children's epidemic which flowed smoothly and that of corporate sabotage which was roughly written felt like I was reading two different books entirely. Following one or the other I might've enjoyed myself but I don't think they worked well together even though that was the Author's intent. In the end The Uninvited is a book that held so much promise but fell short of expectations. Was the book good? Yes, But it did leave me asking more questions than I had answers for and the dreadfully slow build up left little to be desired. If you like Liz Jensen pick up this book, give it a go, you might enjoy it. For the rest of you, I'd say borrow from a friend or library before buying. I'm sadly disappointed that I didn't enjoy this book more. If you give it a shot, I'd like to know what you thought. 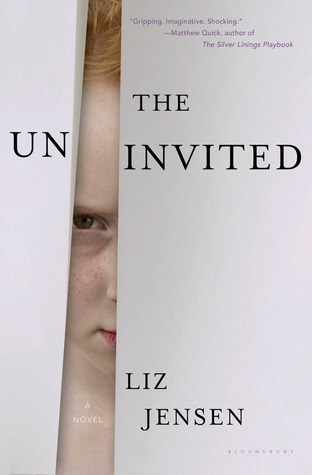 I will be rating The Uninvited by Liz Jensen ★★★. *I received this book to review from Netgalley. All opinions are my own and I was not compensated in any way for providing them. Hmm.. gotta say. I don't think I will be looking into it further :/ I think I might be more interested if it was just creepy dystopian and killer kids.. But when it gets into politics and or corporate sabotage.. it kinda puts me off and I get bored.. Great review though. Honest. Best way to write em :) Thanks for the feedback! I really wanted to like this one but the whole middle section killed it for me. Your first comment on the propaganda feeling of this book was something that I didn't think of until you mentioned it. I also struggled with the first half of the novel. I was frustrated with the excessive rambles of/surrounding Hesketh, though I was far from bored. But I was expecting a lot more focus on the child murder incidents. II really enjoyed the last half. Possibly because it finally focused on the kids and their behaviour changes, which what I was looking for from the get-go. Great review! If I hadn't been pulled back in so strongly through the focus on Freddy, I probably would have rated it at 3 stars max myself. I really wanted to like this one as it had so much promise. If only the focus stayed on the kids which were the best parts for me. I have to say I will probably not be reading this book. I liked what I read of the description but then your review of it pretty much kills it for me. I also get tired of reading the books where the main character has a disability and it is CONTINUOUSLY brought back up like we cannot remember it. Thanks for the review!